French model Josephine Le Tutour, after A Show, Paris, March 2014. 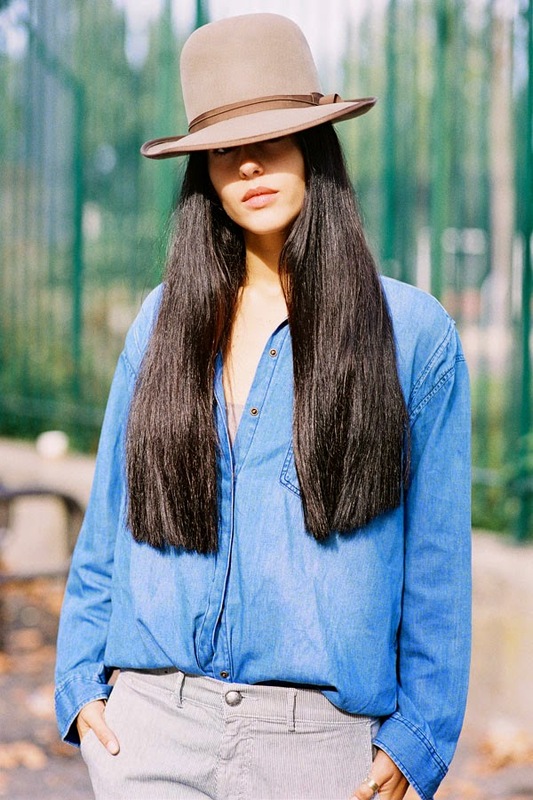 Gilda Ambrosio, after Kenzo, Paris, September 2014. Elena Perminova, before Stella McCartney, Paris, September 2014. I know I posted some different images of Elena wearing her amazing jacket before but thought they deserved another whirl! 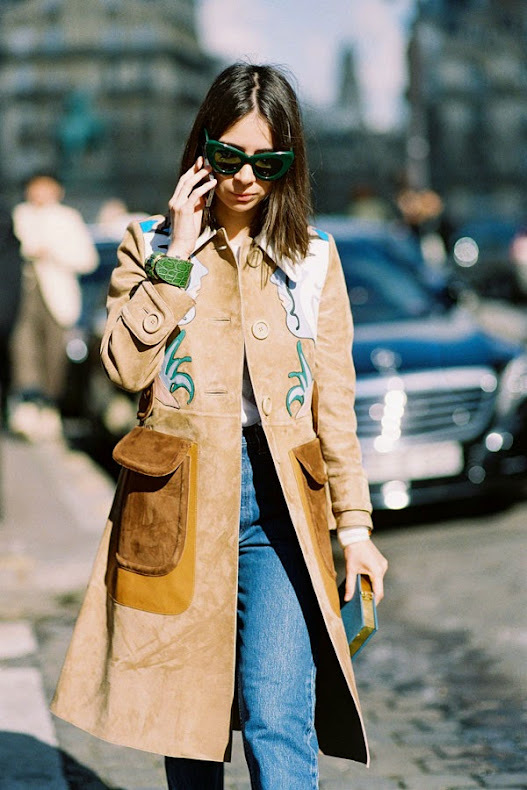 Natasha Goldenberg, before Miu Miu, Paris, February 2014. Argentine model Magda Laguinge, after Chanel, Paris, March 2014. Harper's Bazaar (Germany) Veronika Heilbrunner, before Akris, Paris, September 2014. Russian model Irina Liss, after Sacai, Paris, September 2014. Stylist and Creative Consultant, Ece Sukan, after Acne Studios, Paris, September 2014. Putting the go-go back into white boots! Before Rodarte, NYC, February 2014. 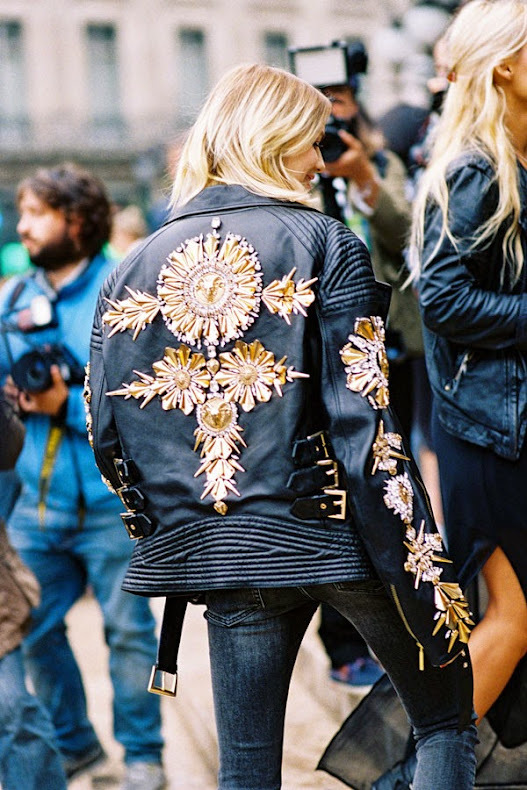 Chiara Ferragni of The Blonde Salad, before A Show, Paris, September 2014. 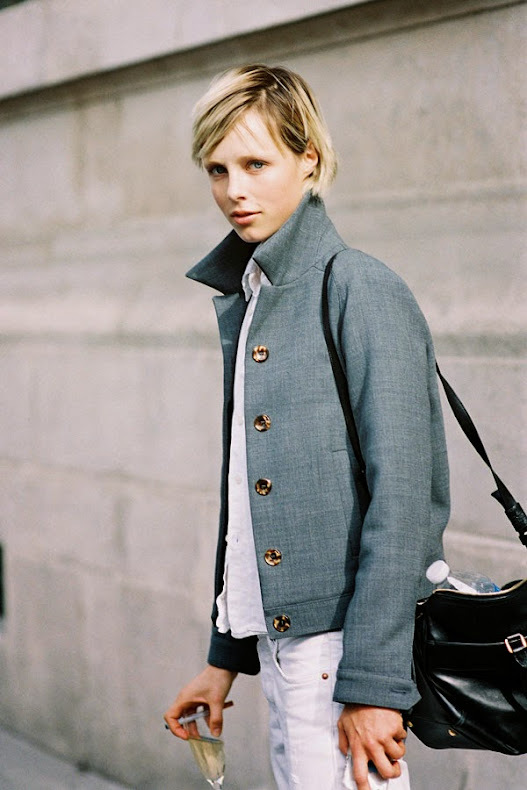 British model Edie Campbell, after Sacai, Paris, September 2014. Lithuanian model Deimante Misiunaite, after Elie Saab, Paris, September 2014. 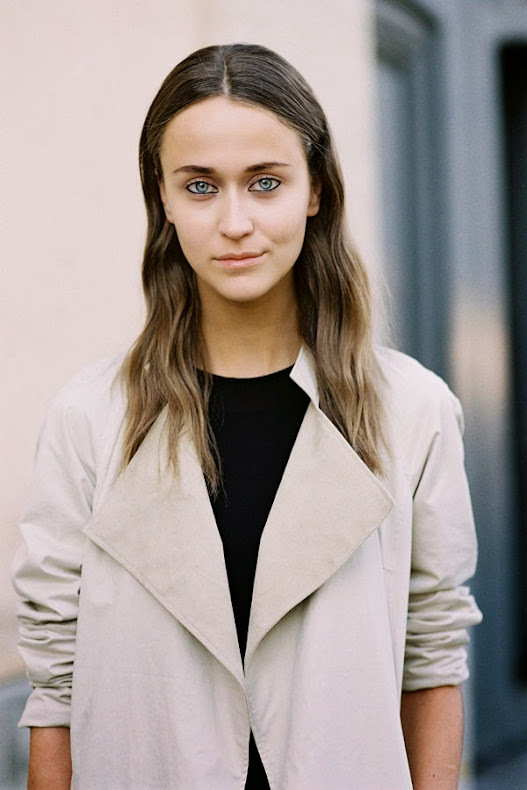 Hanneli Mustaparta, before Louis Vuitton, Paris, October 2014. Fashion TV host and journalist, Tiany Kiriloff, after Kenzo, Paris, September 2014. An alternate way to wear tie-waist pants: with a cute printed tee and a quilted Chanel tote. 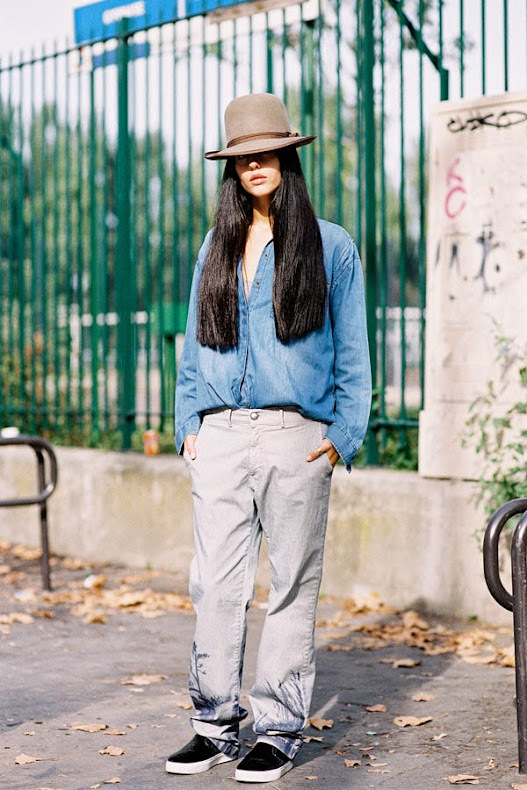 Art director and fashion consultant Sofia Sanchez Barrenechea, before Valentino, Paris, September 2014. 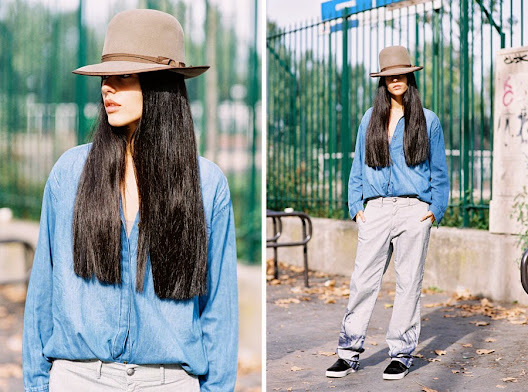 Valentina Siragusa of Factory Style blog, Tuileries, Paris, September 2014. Dutch models Julia Bergshoeff and Maartje Verhoef, after Valentino, Paris, September 2014. A bright winter coat for a cold winter's day. After A Show, Paris, September 2014. Her beautiful look reminds me of the coat + dress Kamilya wore in September 2013. On Australia Day (yay! ), one of my favourite Aussie girls to photograph....the gorgeous Nicole. 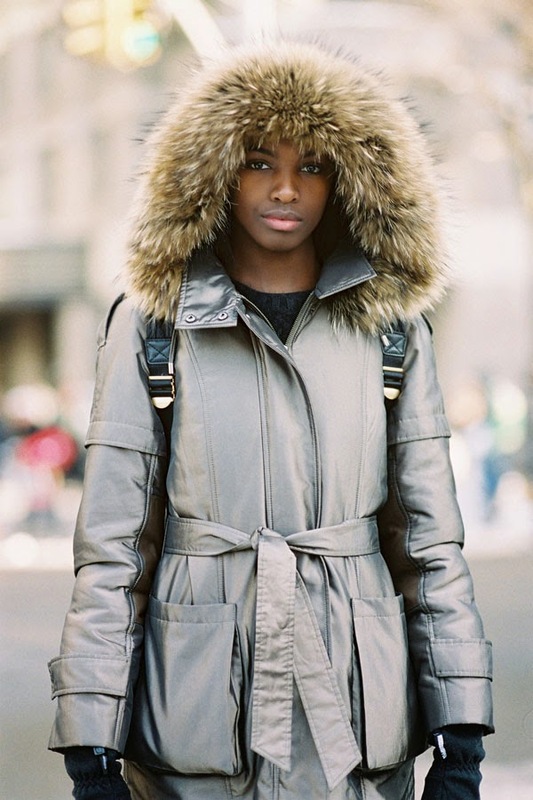 British model Leomie Anderson, after A Show, NYC, February 2014. Leomie: rugged up for the snow and cold. A fluffy coat to snuggle in for the snow days!